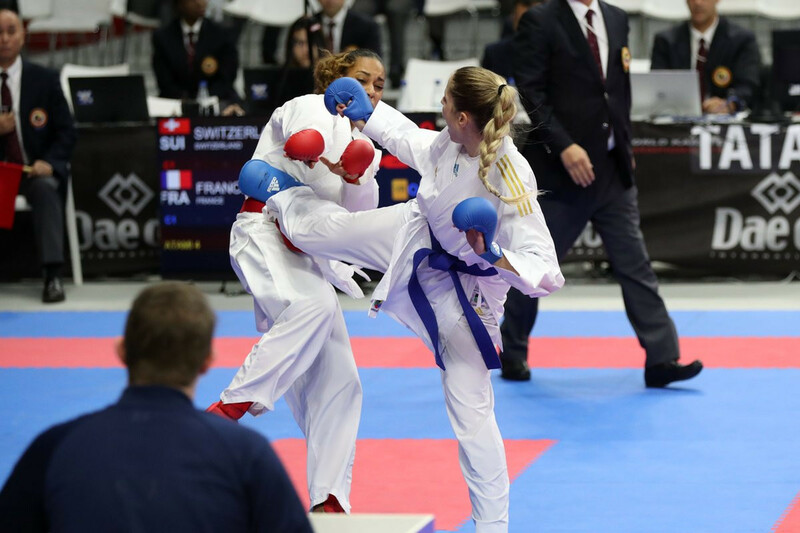 France reached a fifth consecutive women's team kumite final at the Karate World Championships as they maintained their pursuit of a successful title defence in style here today. The French squad, comprised of Leila Heurtault, Laura Sivert, Léa Avazeri and Andrea Brito, beat Egypt 2-1 in a hard-fought semi-final to book a place in Sunday's (November 11) gold medal match. France will take on Japan, who secured a spot in the World Championships final for the first time in 12 years by upsetting hosts Spain 2-0 in the last four. Japan, whose team features Ayumi Uekusa, Natsumi Kawamura, Ayaka Saito and Kayo Someya, will aim to spring a surprise in the final, while France will go in search of a fourth women's world team title having clinched the crown in 2010, 2012 and 2016. "This victory is clearly a team effort," said reigning world individual champion Uekusa. "The qualification to the final shows the power and strength of our team. "Sometimes we win, sometimes we lose, but whatever we do, we do it as a team, and this is what mattered today." Iran and Turkey will battle it out for the men's team kumite title after both sides came through their respective semi-final clashes today. Turkey overcame Azerbaijan, while Iran, led by world title holder Sajad Ganjzadeh, beat Italy 3-0. "We had very hard bouts throughout the competition, but we are a very good team," said Turkey's Ugur Aktas. "We, my team-mates and me, are brothers, so we are very happy that we could do this together. "The last time that we were in the final was in 2008, so we want to take the gold medal here." 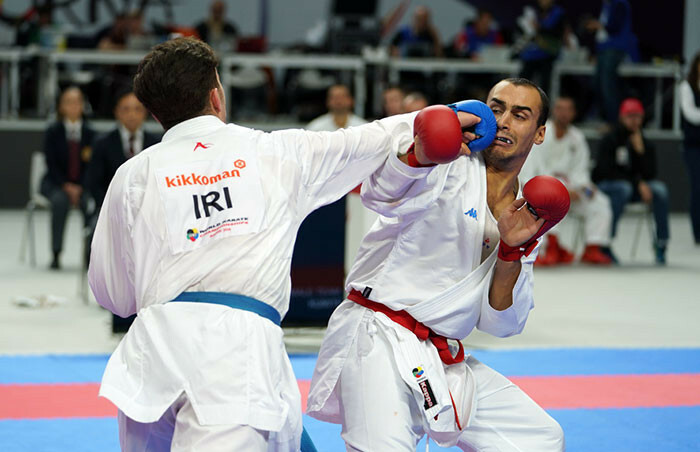 Individual kata, kumite and men's and women's visually impaired finals are all scheduled to take place tomorrow. Gold medal bouts in team kata, kumite and men's and women's wheelchair events will be held on the final day on Sunday.